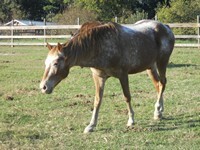 Clueless is a 9 year Appaloosa gelding. 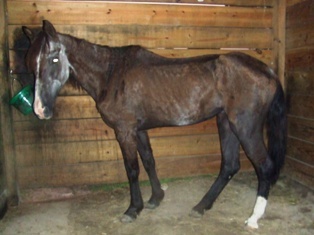 From the time he was born, Clueless was left to fend for himself against 20 other horses in a confined area. This led to malnutrition and developmental issues. He was never wormed or properly cared for which has resulted in a propensity for colic due to scar tissue from worm damage. 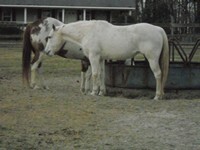 Clueless is on an inexpensive but strict diet and must be fed separately from other horses. 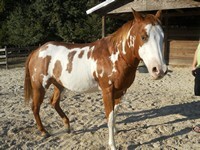 He has finished his training as a trail horse and he is an “easy keeper” with superb ground manners. He clips, loads, ties and rides English or Western. He is a very laid back guy and enjoys lazy miles on the trail.